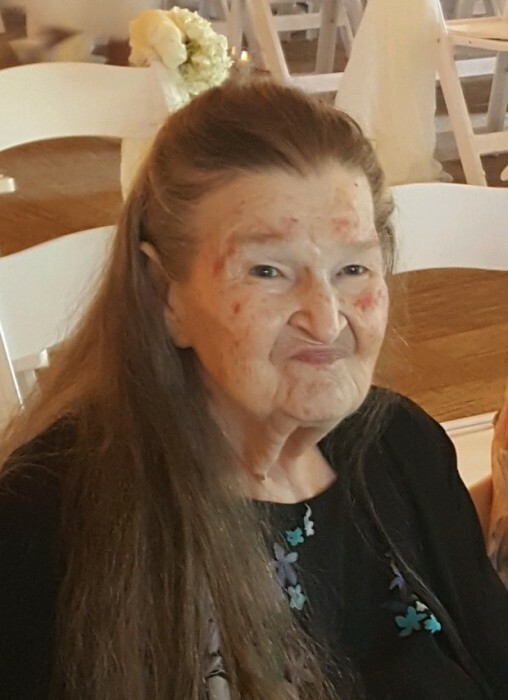 Hazel Jearldine Kersey, age 80, of Baxley died Monday, June 18, 2018 at the Pavilion. Mrs. Kersey was born July 30, 1937 in Appling County to the late Joseph Taylor and the late Leona Herrin Stone. She was the manager of the Marbro Drive-In Theater of Baxley. Mrs. Kersey was preceded in death by her husband, Alvin Kersey, Sr., children, Johnny Kersey, Hazel Kersey, Travis Kersey, Andrew Kersey, granddaughter, Angel Kersey, great grandchild, Justice Drake, step father, Woodrow Stone & a brother, Wilson Stone. Survivors include her daughters, Janet Hall & Doris Kersey both of Baxley; step daughters, Bobbette Pollette of Valdosta & Pat Gill of Hazlehurst; sons, Alvin Kersey, Jr. of Baxley and Danny Kersey of Lee County; sisters, Willie Walker of Balwin, Florida & Josephine Ingold of Jacksonville, Florida. Eleven grandchildren, sixteen great grandchildren, one great-great grandchild and a special friend and caretaker, Yolanda Thomas of Douglas. Funeral services will be held Thursday, June 21, 2018 at 2:00 p.m. at the Chapel of Swain Funeral Home with Rev. Chester Beasley officiating. Interment will follow in Bethel Free Will Baptist Church Cemetery. Visitation will be Wednesday evening from 6:00 until 8:00 p.m. at Swain Funeral Home. Active Pallbearers will be David Herrin, Victor Herrin, Rodney Carter, Brad McDaniel, Jamie Baxley and Zack Baxley. Honorary Pallbearers will be Southern Care Hospice, the Pavilion B Hall staff & Dr. Tonya Fordham.